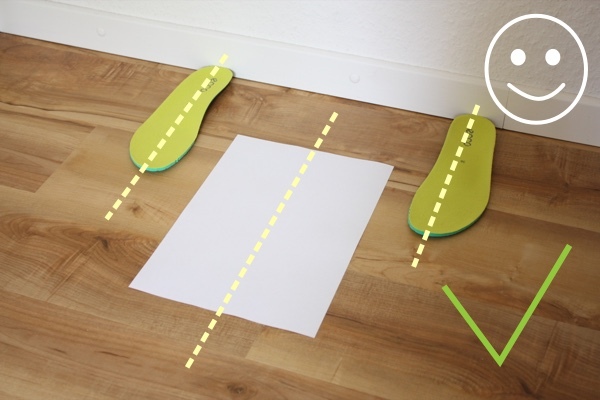 Simple and accurate feet measure tool for iOS. 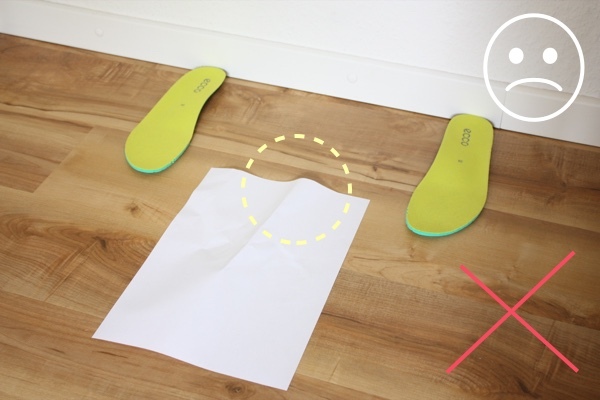 Feet Meter is a “brannock device” in your pocket. 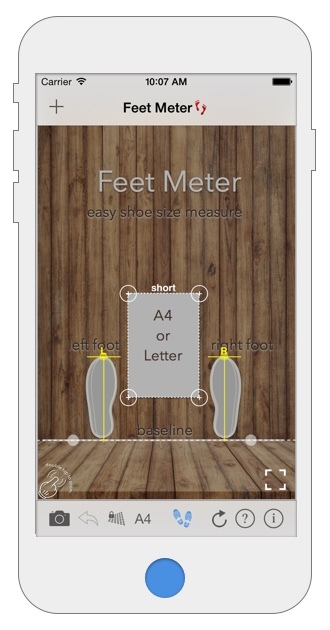 FeetMeter app is a simple but accurate tool for foot length measurement. 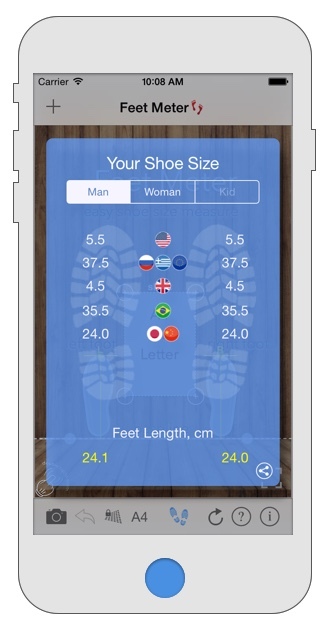 Based on the found foot length the app estimates the shoe size needed for ordering footwear. 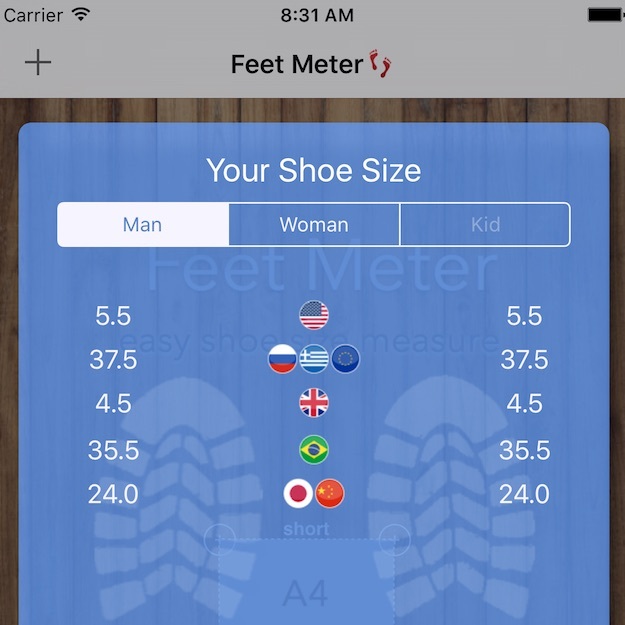 Shoe size results in the app are compared with standard shoe size charts known from open resources (e.g wikipedia, etc). 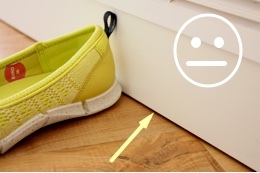 Please note that shoes from different brands may varies in sizes and shapes, so the app is not a replacement for trying shoes on. 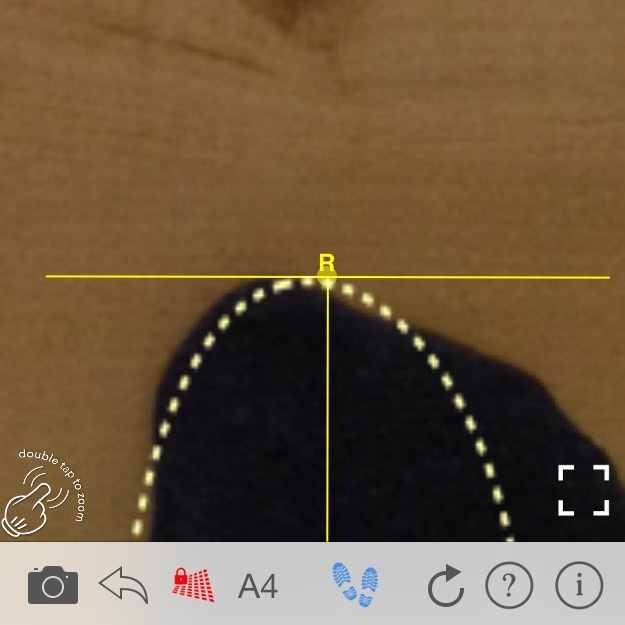 With the app you will be able to take or load a picture of your feet and to do all measurements on it. 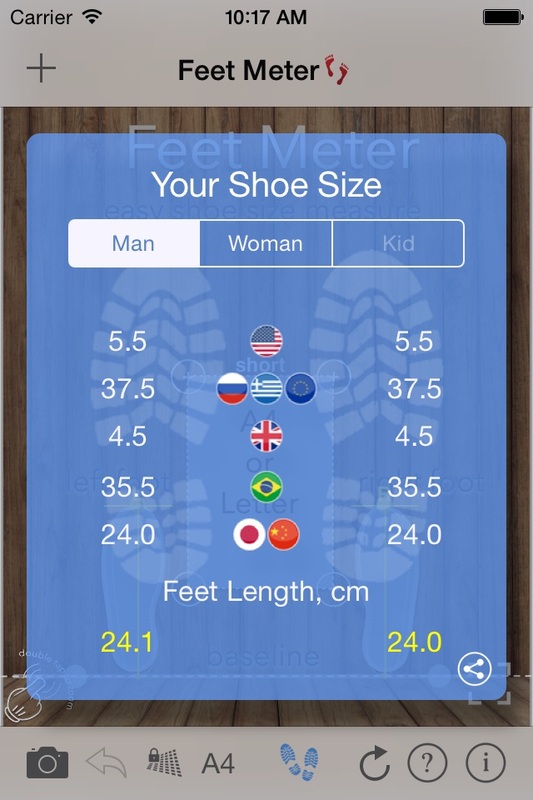 You can instantly switch between Man, Woman, Kid charts and see shoe sizes for US, UK, EU, BR, CN and JP regions. 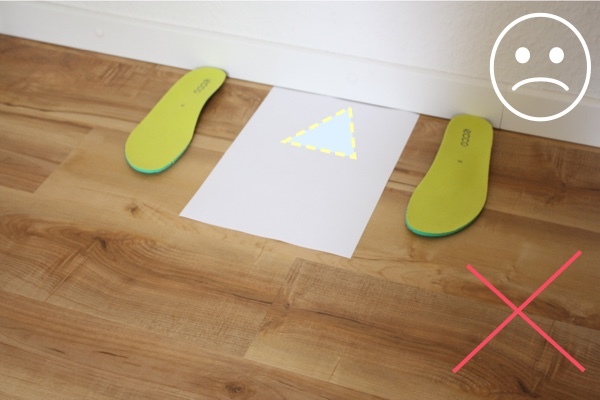 The accuracy of measurements depends on how thoroughly you follow the measurement instructions and how precisely you align rules on the screen. 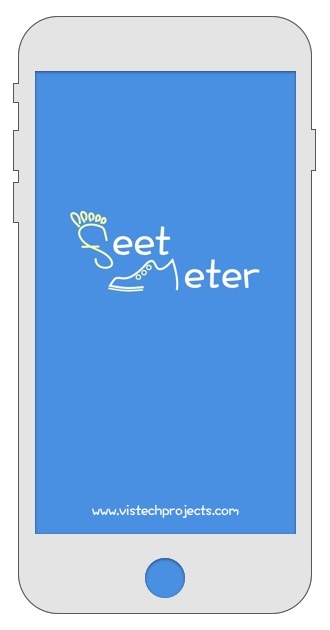 iPhone / iPad with FeetMeter installed. 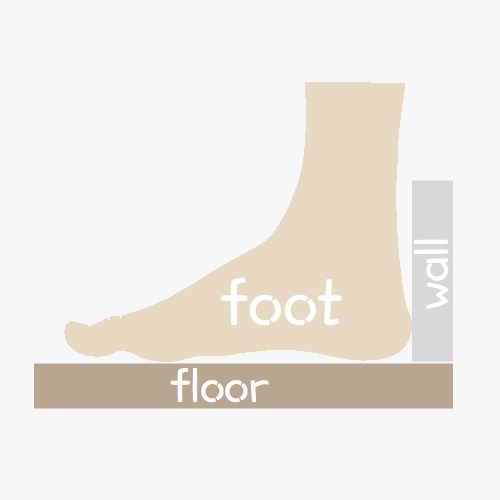 Stand against a wall with your feet shoulder-width apart (barefoot or wearing thin socks, no shoes! 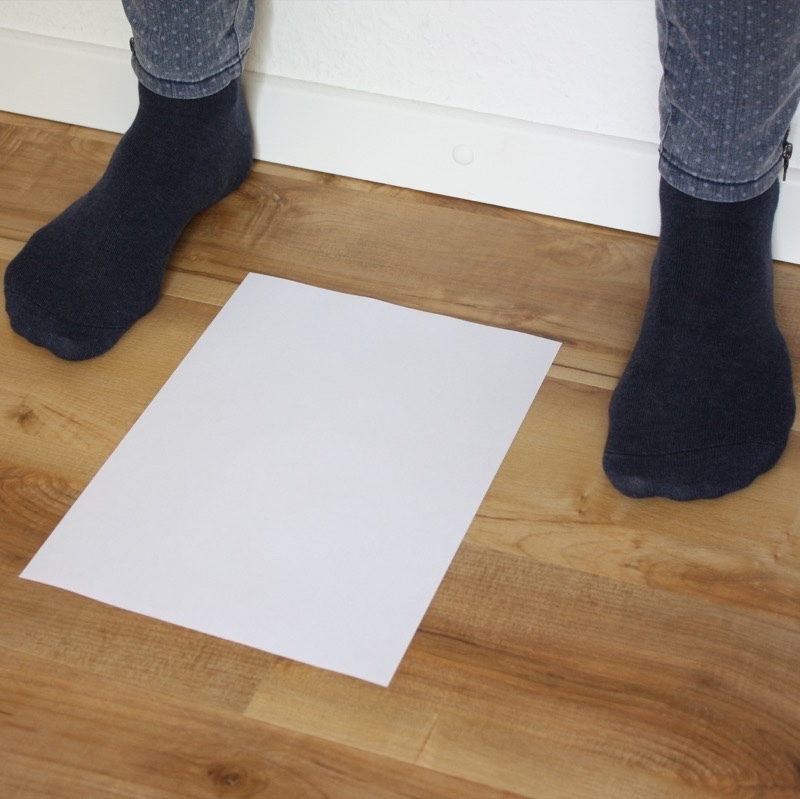 ), heels touching the wall and toes pointing forward. 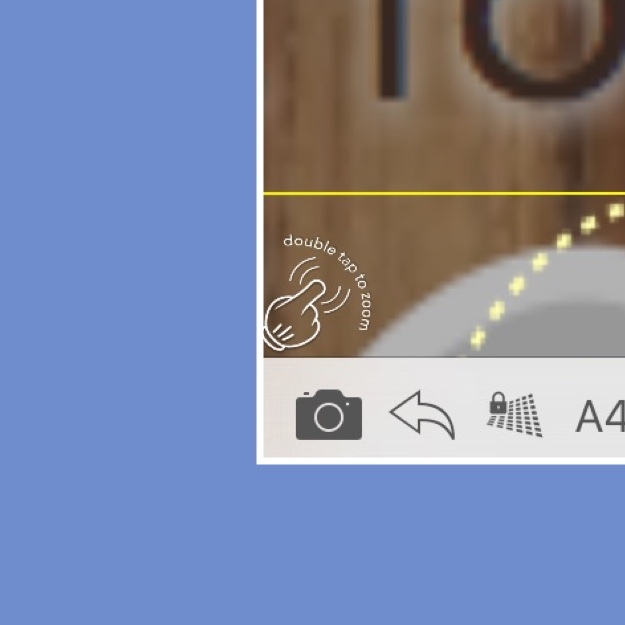 Take or upload previously taken picture using camera button. 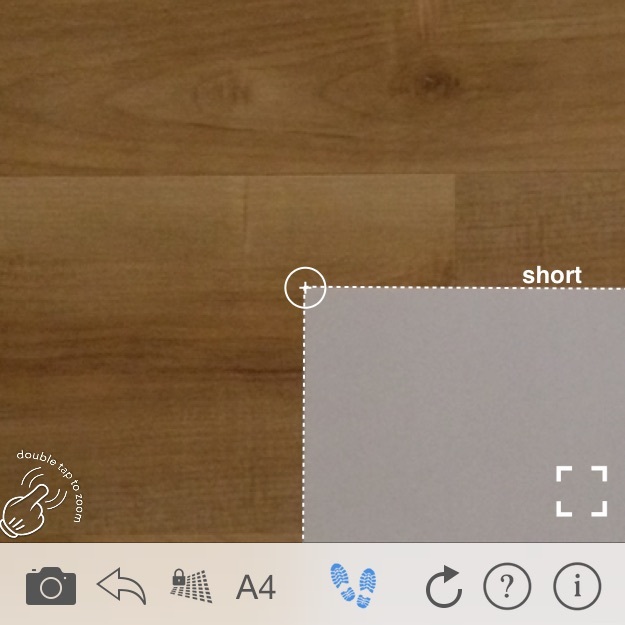 Trace/outline the reference accurately (very important!) 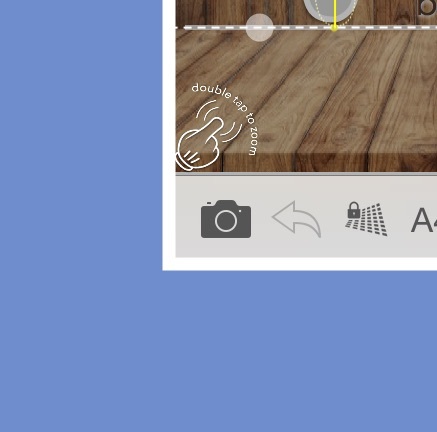 using corner points of the frame. 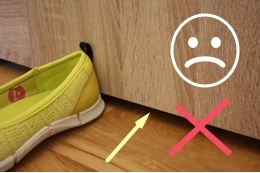 Keep correct orientation: “short” line must be over short side of the sheet. 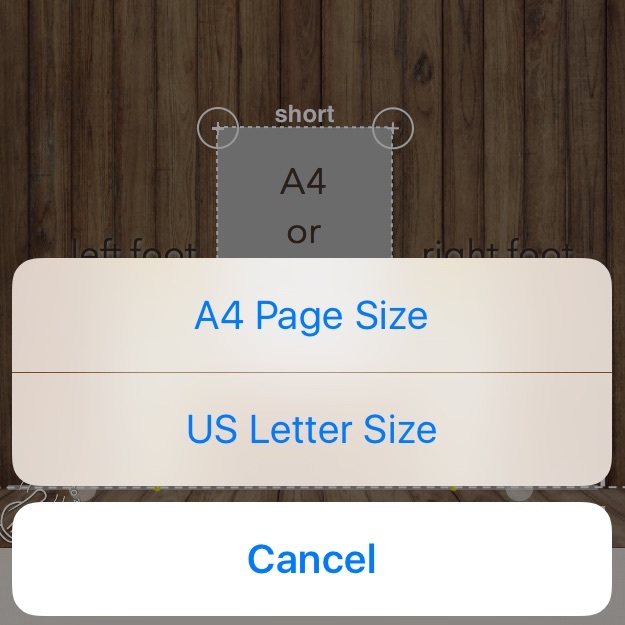 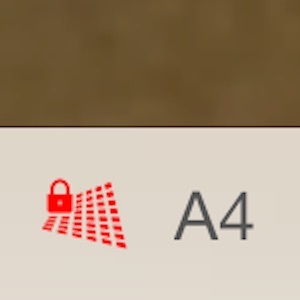 Select or check paper size (A4 or Letter) you are using as the reference. 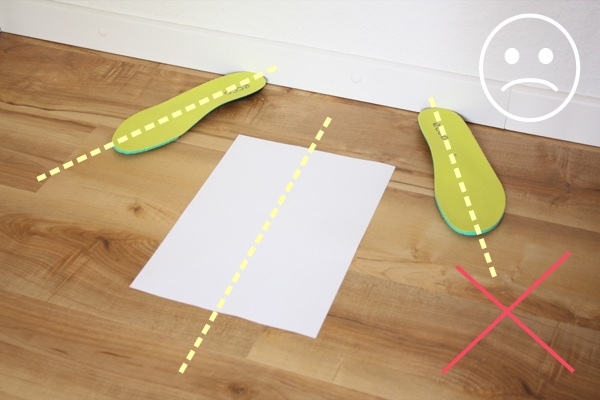 Trace wall/floor joint line using control points on the baseline. 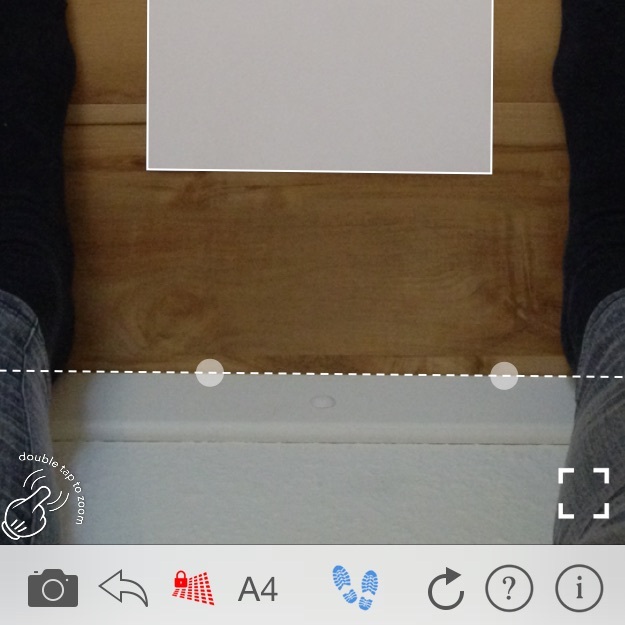 Press “Shoes” button to get your feet length and shoe size chart. 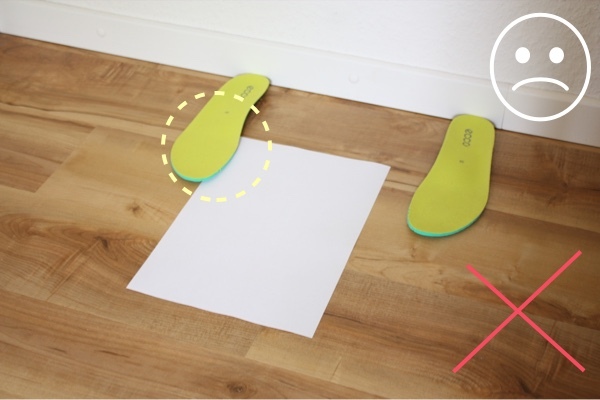 Use measurements of the larger foot as the final result.